As far back as ancient Greek and Egyptian civilization, people have been applying pigment to the top and bottom of their eyelids – proving that even Cleopatra knew the value of a great eyeshadow. Today, our eyeshadow routine involves primer, base color, crease color, highlighter, and glitter. It also involves way more questionable ingredients than what the pioneers of the smoky eye were using to color their lids. One of the more controversial ingredients commonly used in cosmetics is talc. Considered the softest mineral in the world, it’s used in eyeshadow for its ability to absorb moisture and improve the finish and texture of a product. But, perhaps most importantly to manufacturers, it’s an inexpensive bulking agent that works as a great filler to dilute pigment at a very low cost. The problem is that, where talc is mined, there’s often asbestos, and that asbestos has the potential to contaminate the mineral so widely used in the cosmetics industry. Since the 1970’s, researchers have raised concerns about the possible links between asbestos contamination of talc and different types of cancer. While none of these links have been proven and the FDA has made no decisive ruling either way, talc remains a controversial and iffy substance that you should think about minimizing your exposure to. Whether you struggle with sensitive skin that can be irritated by talc products or you’re just one of many consumers who errs on the side of caution, there are brands that support your needs with talc free eyeshadow that provide you all the same effects with less risk of irritation. 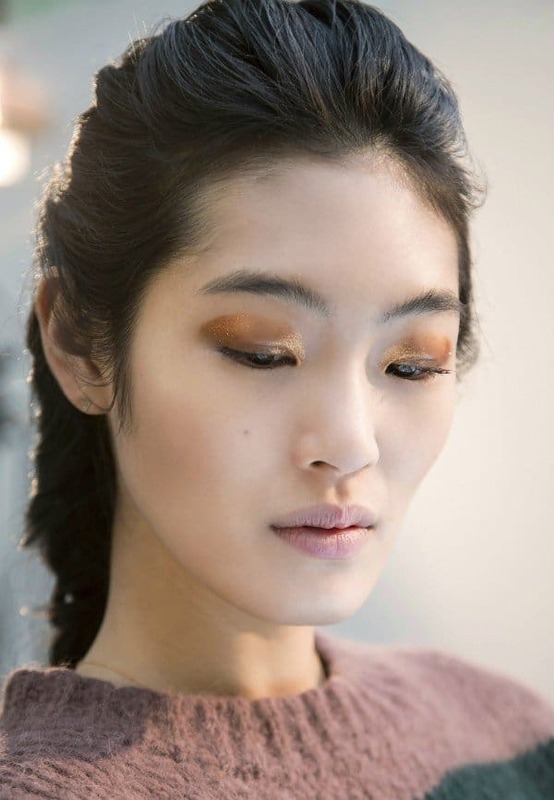 Keep reading to find out what our top choices for eyeshadow without talc are and what makes them the best. Rarely do you find such a high degree of pigmentation in a talc-free pressed powder. Even less common is the ability to glide across the lid flawlessly both wet and dry. Safe and gentle enough for use on sensitive skin, it’s formulated with pine bark extract to deliver calming to your eyes, brows, cheeks, and even lips. If you’re looking for something with a little more options check out the brands extremely popular Eye Shadow Triples ($30), that have 3 different shades. 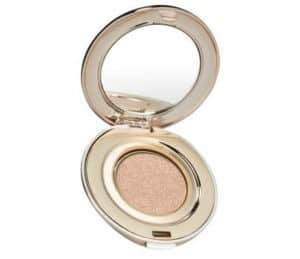 And when you need an expertly selected combination of shades that take you from Daytime to Purple Rain, Jane Iredale’s perfectly curated talc free eye shadow palete ($59) offer all the same benefits as their single shadows – but in 5 colors each. 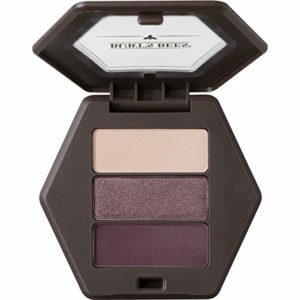 Available in over ten variations, Smashbox coordinated these ultra-compact and talc-free trios so that you can complete any look, from anywhere, in an instant. 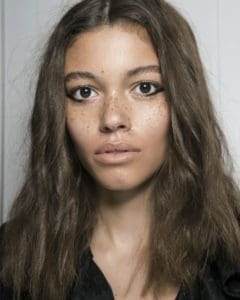 They include a step-by-step guide on exactly how to use the shades, so even the most novice MUA isn’t left without guidance. Our fave part? The double dose of your main shade – which is always the first to run out and the one we need most. Echo Bella takes talc-free one step further with a line of shadows that are not only chemical-free but also cruelty-free, vegan and made without gluten. Their formulas contain only the most essential ingredients – plus the added antioxidant protection of natural botanicals like aloe and green tea extract – and even their refillable and recyclable packaging ($9.99) is eco-conscious. Each shade of these mineral-based shadows in this talc free eyeshadow palette is infused with the hydrating and nourishing benefits of coconut water – for the benefit of your lids as well as your application process. With 10 highly sought-after colors in every palette, Pacifica is a vegan and cruelty-free brand that makes our top talc-free eyeshadow list for designing a health and eco-conscious product at an affordable price point. Burt’s always has sensitive skin in mind – which is why they formulated these eyeshadow kits without talc, SLS, fragrance, petrolatum, parabens, or phthalates. Instead, they’ve enriched each lightly pigmented and shimmery shadow with ingredients that the skin will love more than you love how complementary these hues are. 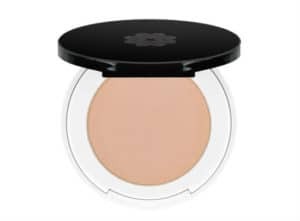 Made with herbs and essences such as honey, bamboo, and essential vitamins, even those who wear contact lenses will find these shadows comfortable. 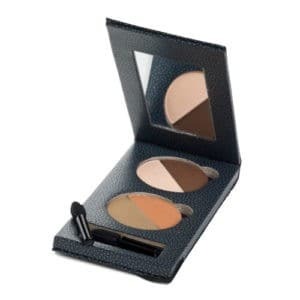 It doesn’t get any higher quality than eye shadow that’s been hand mixed by professional makeup artists – except when you then infuse those shadows with herb and flower extracts and essences that nourish and heal the skin. 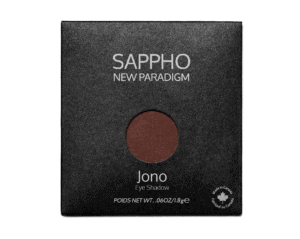 That’s exactly what Sappho has created with their line of 19 premium vegan shadows (that are talc-free) that include ultra-skin beneficial ingredients like jojoba, argan, and chamomile. 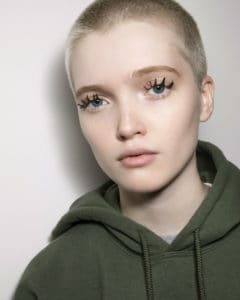 Nothing quite gives you the same effects as a loose powder when you want a shadow that sits lightly and featherweight on the surface of your skin. Easy to sift, dispense and apply, Alima’s line of mineral shadows in Pure Satin are available in 19 richly pigmented but muted matte shades. For an option that lasts just as long but gives you more depth and coverage, Alima offers their Pure Luminous line ($14) in 15 shimmering and highly pigmented shades. But when bolder is better, opt for 14-shade the Pure Pearl Luster eyeshadows ($14). Apply these dry when you want a subtle glow and damp for a dramatic metallic finish. And for those who love the gluten, paraben, sulfate, talc, and animal-free formula Alima offers but require a pressed powder, don’t fret. They’ve created a 12-shade line, of pressed eyeshadows ($26) to serve all your pigment needs in a refillable compact. When it comes to our cosmetics, not only do we want control over how they glide on and how they set, we also want control over the ingredients we’re exposing our skin too. One way to ensure you’re only using the best ingredients for your wellbeing is too buy organic. 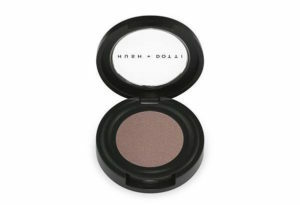 And Hush + Dotti do organic in their line of talc-free eyeshadow without sacrificing performance or pigmentation. There aren’t many award-winning brands that can boast such a fair price point, but Lily Lolo manages to do just that with these weightless shadows. Lightweight but blendable and buildable, you can customize your coverage according to just how intense and dramatic your needs are. Plus, you can do that without any fear of the formula: it’s full of wholesome items like jojoba, sea holly extract, pomegranate oil, and the very exclusive manuka oil. The official research is inconclusive and the FDA is indecisive on the subject of talc, but when it comes to your health and wellbeing, any item that carries a risk of illness as serious as cancer should be considered carefully. That’s doubly true for products that you use directly on the most sensitive areas of your skin – namely, your face and eyes. 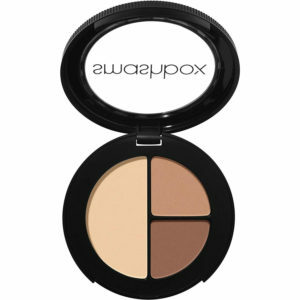 For that, there’s talc-free options, and we’ve already picked out some of the best options for eyeshadow without talc.